The perfectly shaped and spaced bands of the Amish Tuscany Dining Chair are supportive and stunning in your choice of solid wood. These dining chairs are made of solid wood in an Amish wood shop in Pennsylvania. 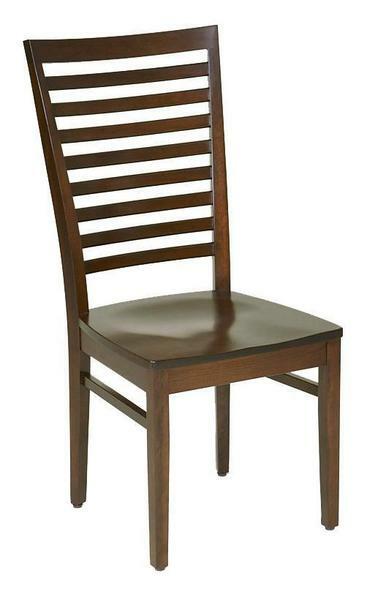 Trusted and true, these wood chairs are covered by a 20-Year Limited Warranty.